Find the right staff! Hire fast! Hire now! It is simple! 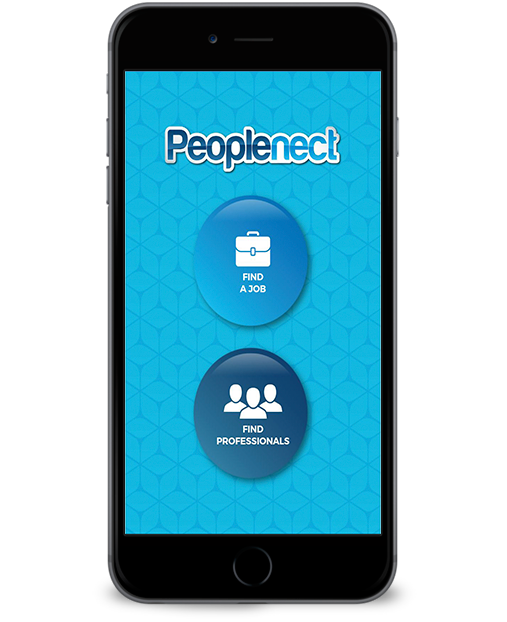 Find the right people to fill your vacancy in minutes. Need to hire right away? 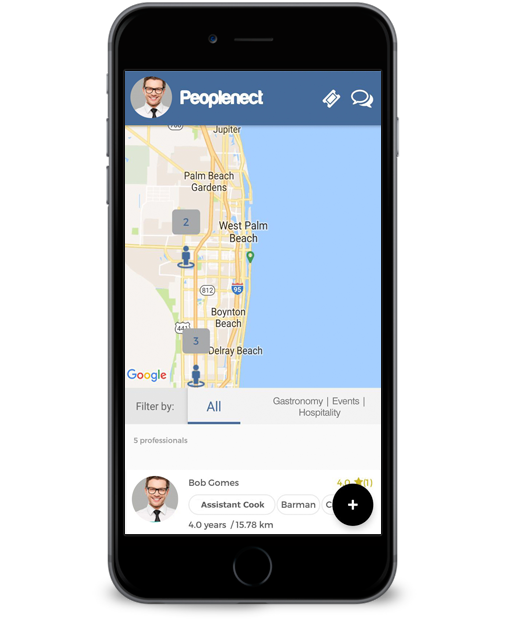 Geo localization technology allows you to find candidates located where you need them, fast. Rate the performance of who you hire to help our community filter and shortlist the right profile. 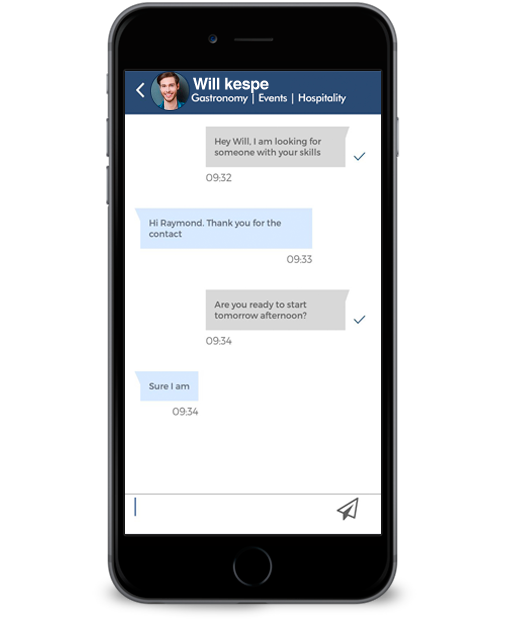 Chat with them and accelerate your recruitment process. 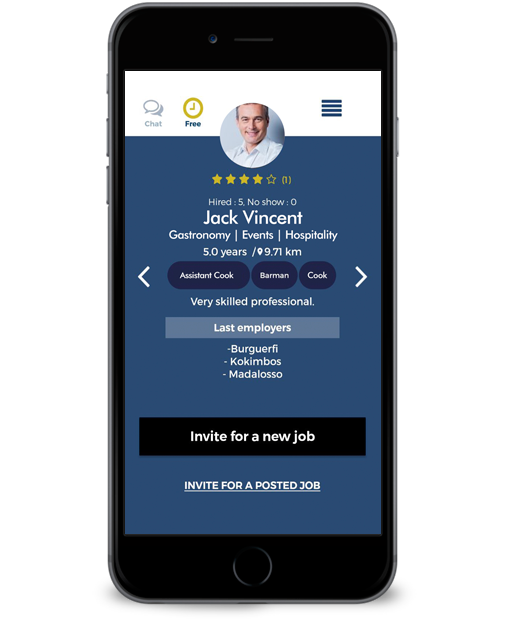 We connect you to the right candidates, simple and fast! 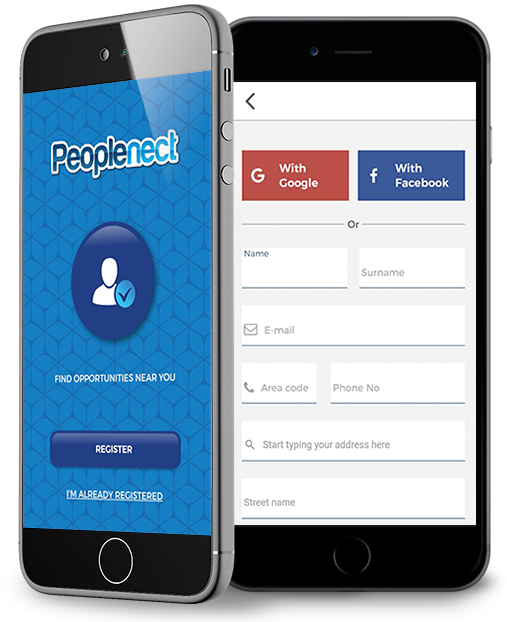 PeopleNect 2019 - All rights reserved.